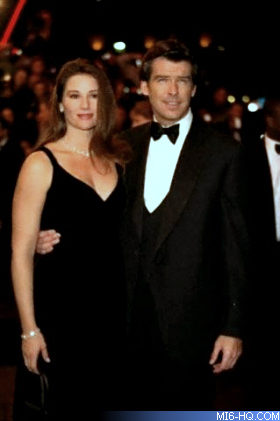 The World Charity Premiere for 'Tomorrow Never Dies' took place on Tuesday 9th December 1997 at The Odeon, Leicester Square but remarkably was not attended by any member of the Royal family - the first time since the debut of 'The Spy Who Loved Me' in 1977. 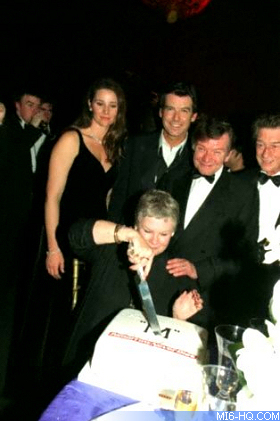 The after premiere party was held at Bedford Square, home of Jonathan Cape, author Ian Fleming's original publisher. The stars of the film were in attendance as well as theme song vocalist Sheryl Crow and other production personnel. Above: London world premiere & after party. 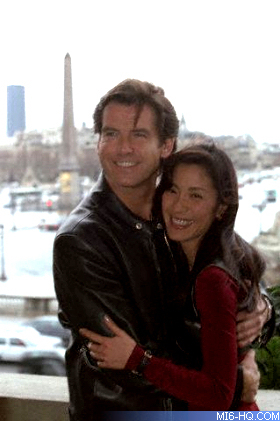 The French premiere was held in Paris on Thursday 11th December with Brosnan and Yeoh hosting a photocall earlier in the day. The film opened across UK cinemas on Friday 12th December and took £3,184,135 in its opening weekend. Bond 18 held strong with a second-week take of £2,744,767 and third week of £2,560,223. It lost the #1 spot in week 4 with the release of 'Starship Troopers' in the New Year. 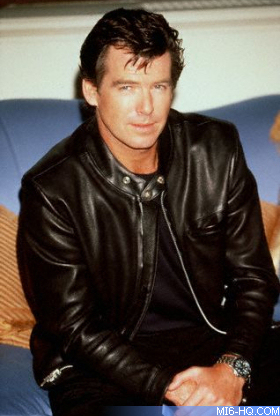 'Tomorrow Never Dies' took a total of £19.9m in the UK, a £2.5m bump up on the previous film 'GoldenEye'. Smaller European premieres were also held in Rome and Munich. 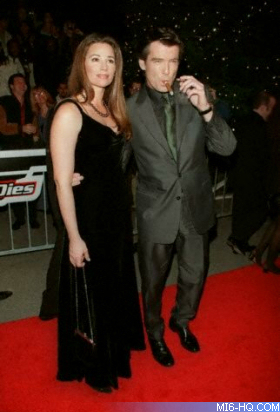 Next up was North America when the core cast and crew attended the Los Angeles premiere on Tuesday 16th December. The film opened in the USA and Canada on Friday 19th December - head to head against the launch of Jim Cameron's much anticipated epic 'Titanic.' Much to the surprise of some commentators at the time, 007 held his own again the boat with an opening weekend of $25m (just a $1m dip on 'GoldenEye') and only $3m behind 'Titanic.' Bond actually launched on more screens: 2,807 versus 'Titanic's 2,674. That stayed true through Bond 18's first month in the USA. 'Tomorrow Never Dies' scooped in excess of $331 million throughout all box office territories. The film was later rated by Variety as the 19th highest earner in North America. Rex Weiner of Variety was quoted to say of the 18th Bond film: "Bond must beat the boat and save the lion." 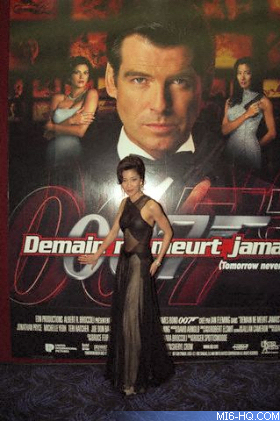 Above: Hong Kong premiere (left) and Mexico City photocall (right). 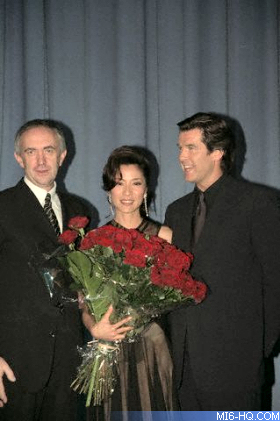 Mexico's Premiere was attended by a playful Pierce Brosnan who posed in front of posters outside the theatre on Thursday, Jan. 8, 1998. The film opened in Hong Kong on 22nd January 1998, where Yeoh was well known to action movie fans, and the film took $1.39m in its opening weekend there and finished as the highest grossing non-Hong Kong film of the year with 29.13m HK$. 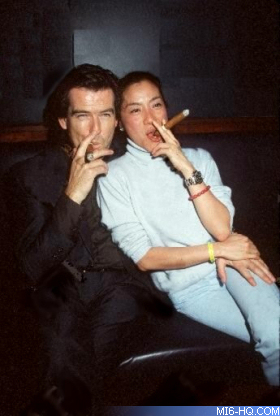 The city of Toronto, Canada, enjoyed the longest box office run of any of the Bond films, it ran daily from December 19th, 1997 to June 5th, 1998.